Not for use by those with pre-existing medical conditions or taking any medications, those under the age of 18, or women that are contemplating pregnancy, pregnant or nursing. Keep out of reach of children and pets. Do not exceed the recommended daily dose. Citric Acid, Natural and Artificial Flavor, Silica, Calcium Silicate, Malic Acid, Sucralose, Acesulfame Potassium, Gum Blend (Cellulose Gum, Xanthan Gum, Carrageenan), FD&C Yellow 5. 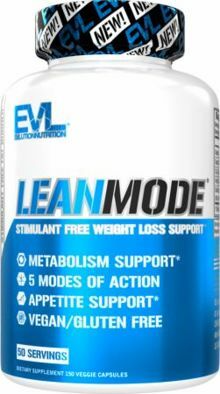 Feb 17, 2019 EVLSports Giveaway: Win EVL’s NEW Fiber + Probiotic AND LeanMode! Sourced from the tropical fruit also known as tamarind, contains premium 60% Hydroxycitric Acid (HCA) level.